Divi is a WordPress theme and it is also available as a plugin. 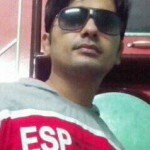 Anyone who has basic knowledge of computer, with the help of Divi, can start his own personal or professional web design. Does it sound unbelievable? But it is true to the core. The last three years have witnessed how Divi surfaced and established itself as one of the most powerful layout builders among WordPress themes and as a user of Divi theme I’d also like to add that I continuously or to be more precise almost every other month get a feature update of Divi. Divi has always been lucky to get the due time and attention of the developers and as a result its development has been steady enough to make it more and more powerful with time. I have been writing posts about Divi and its features on a regular basis but the new features are introduced to Divi at such a fast pace that in spite of writing regularly on it, there is always something new and fresh to write about Divi. So, friends, in the present video I’m going to recapitulate the salient features of Divi which over the course of last year have been incorporated into it. you can collect more data via email opt-in form using custom fields. That’s kind of important. As you know that every time a piece of software is updated, there is always some substantial possibility of going things wrong. So if you notice that your site is wobbling after you have updated Divi, you can any time go to the theme option panel and roll back to the old version. With the introduction of new updates of Divi, the customization settings for ‘section’, ‘row’, and ‘modules’ multiplied accordingly by leaps and bounds. Undoubtedly it made things easier but at the same time identifying ‘which setting is going to affect which block’ became a little trickier. Don’t worry. Your beloved Divi is now equipped with a new feature duly named “Design Quick Access’’, which is going to make things easier magically. With ‘Quick Access’, as soon as you hover the mouse over any setting, the related element automatically is highlighted. Up until now Divi Builder could be used only on page/post types, which was a major drawback and made its usability severely limited and mangled. Thankfully Divi is finally ready to be activated on any custom post type- whether it is a WooCommerce product or any post type. More often than not while designing a layout we need to change color (like font and background colors) and size of elements in the design. To put it simply, for instance you have fifty elements in a design and you need to change their colors, it is going to be bafflingly cumbersome to change colors of all the elements one by one. ‘Find And Replace’ feature gets you rid of this legendary difficulty by allowing you to change a setting for all the elements in a design en masse. Divi’s drag and drop file uploader is by all standards unique. It allows you to drop one or multiple files on Divi layout interface at any time while preparing a layout and moreover for this purpose you do not have to open a file uploader window. On dragging an image, a piece of music or a video on the layout builder, the layout builder simultaneously uploads and adds them to the layout. Isn’t it a fascinatingly and highly helpful feature? It had been a pestering problem for Divi users that the users were not able to create a grid (column/row structure) of their choice. Finally Divi has realised and Divi developers have made the creation of complex grids easier than ever. With this innovation, now you can add up to six columns in a row. Besides a number of additional ‘premade special section layouts’ have been launched as well. We hope that it doesn’t end here and in the future Divi users continuously get more and more options to create complex grids. Along the lines of ‘Find And Replace’ feature, it is yet another leap towards making web design faster than ever. It lets you select multiple modules simultaneously with the help of mouse and shift and you can edit various settings related to those modules in bulk. Divi modules now have hover options such as ‘hover color’, ‘hover background’ etc. It may be no less than a pleasant surprise for you that with the new Divi builder now you are empowered to add your post related dynamic data like custom field data, post title, post meta etc to a layout and, not only that, you can give them any style you want. What is so hilarious about it? The thing is whenever you update some dynamic data related to the post, it will be updated in the layout automatically. Wonderful, isn’t it? It is an impressive feature that has been added to Divi Builder recently. As the name alludes, it has transformed the builder de novo and blown a new kind of freewheeling spirit into it. It gives you infinite liberty to transform a module freely shattering all the previous limits. If there is any limit now, that is your creativity- so finally you can measure how creative you are. With Transformation tool, you can resize, rotate and shear an element and even incorporate it anywhere in a page layout regardless of its relative position. So guys these are some new features which have been added to Divi Builder over the course of last one year. To stay abreast of web design demands, developers continuously keep adding new features, so quite possibly I may have missed some features in this article. You can go to Divi website and check if there is something more to explore there. 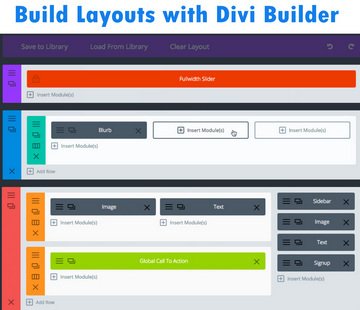 To take a thorough look on Divi Builder’s features, you can read our related posts on Divi Builder.